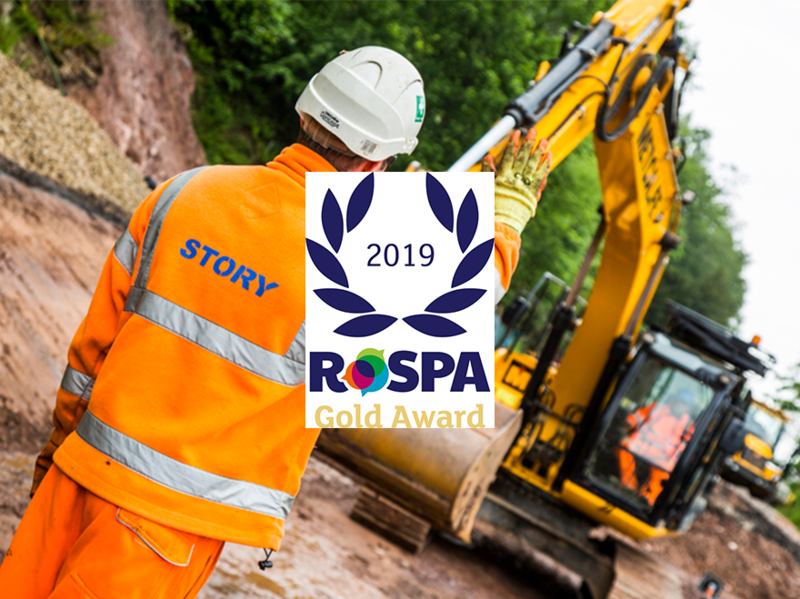 Story Contracting has been awarded a prestigious gold safety award by the Royal Society for the Prevention of Accidents (RoSPA), for the third year running. The award-winning infrastructure company has been awarded gold in recognition of its health and safety practices and achievements in ensuring staff, customers, clients and contractors get home safely at the end of the working day. The RoSPA Health and Safety Awards are amongst the world’s most prestigious safety accolades. The award recognises the company’s safety performance in 2018/19, a period in which Story Contracting experienced record growth and secured a five-year work bank worth up to £200m. Alan Taylor, Director of HSQE, said: “We take winning this award for the third year running as a badge of pride in our safety performance and, while we also recognise that we must continually improve, we are proud of the work our people have done to deserve these awards. “These awards reflect the hard work of our staff, customers, clients and contractors who remain focused on keeping safe, looking after each other and protecting our environment. The company will be presented with the award during a ceremony at Hilton Birmingham Metropole hotel on Thursday, June 6, 2019.